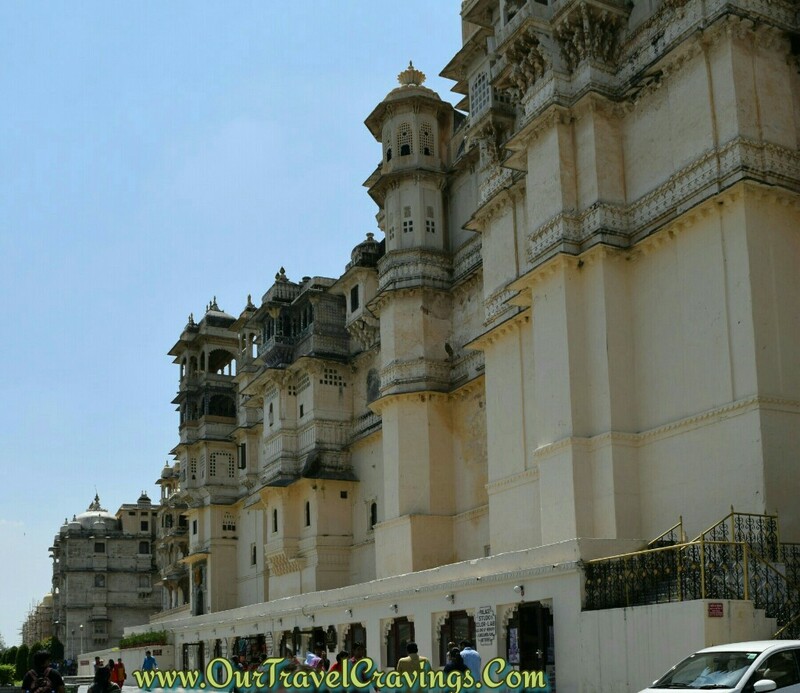 We visited Udaipur in September 2015. For just one night and two days. 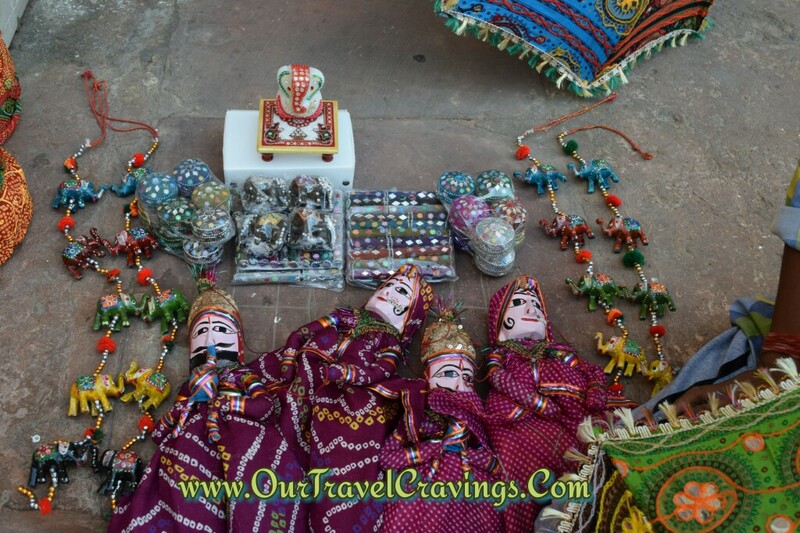 We felt our trip was too short and would suggest to at least stay for two nights in Udaipur to get the true feel of what this royal city has to offer. Tip: Ola/Uber cabs are available here so you can rightly book them for a short trip and negotiate for a full day sightseeing. We spent the evening on the first night on the banks of Lake Fateh Sagar. There are a lot of road-side eateries and that's where we had our dinner too. Lots of food options are available. If one has been to a lot of lakes before, this place is surely not extraordinary. If one has a tight schedule, this place can be skipped for good! The next day we left early after some morning photography at our resort - Ramada Udaipur. We hired an Ola and asked him to drop at the Lake Pichola main entrance. We enjoyed some delicious poha and tea at a roadside stall which is just opposite to the entrance gate. (We regret not remembering the gate number) It definitely was worth every penny. We entered the lakeside and we knew the first thing we had to do was boating! Definitely it was one of the most pleasant boat rides for a long time. The pleasant atmosphere was just one thing and the splendid surroundings, lake palaces, backdrop of mountains were another ! 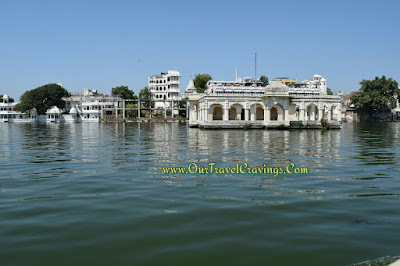 We were left spellbound seeing how many semi-submerged palaces (read: lake palace) were constructed on this lake over time! What was even more astonishing to see was how they remained safe and sturdy even after centuries! 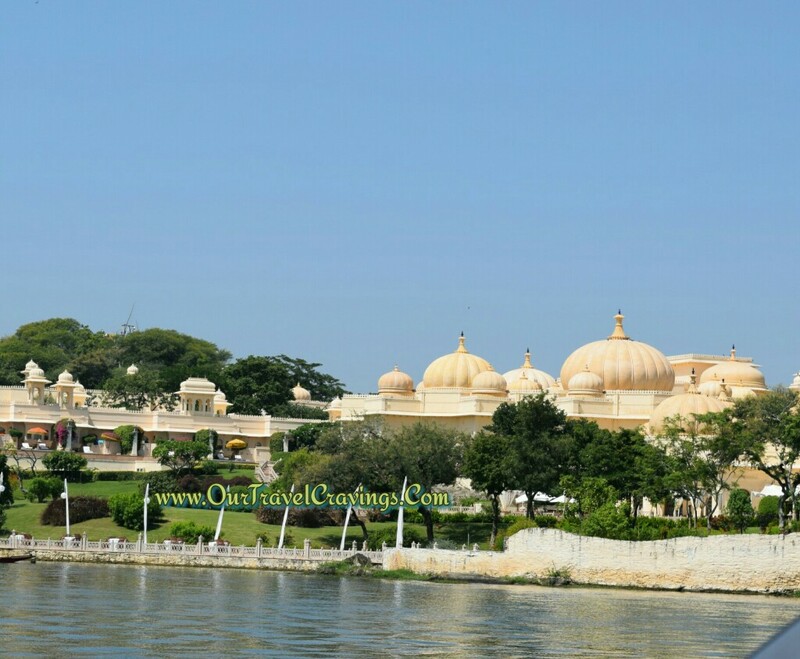 A couple of lake palaces have been converted into hotels like the "Taj Lake Palace Udaipur" and they are a visual treat. 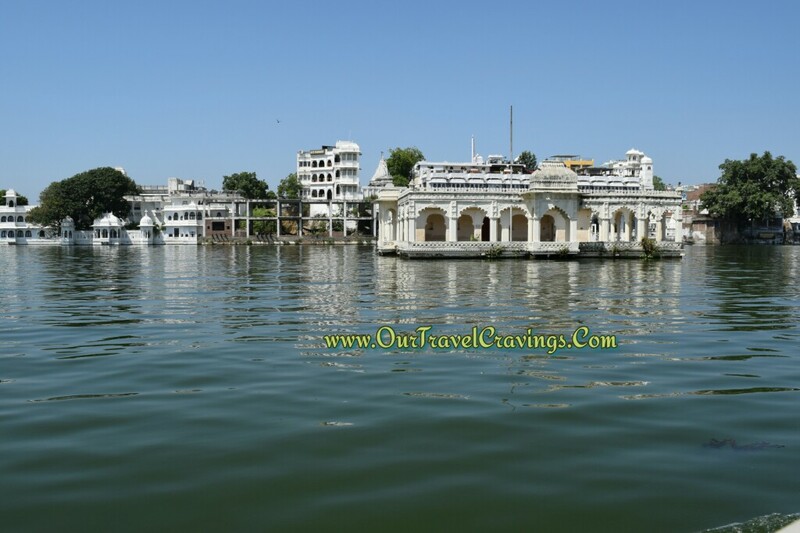 Don't forget to capture a glimpse of the "Jag Mandir" while on boat. The 45 minute ride on a deluxe boat cost us ₹ 500 for two. But the experience was for a life time! For those having time up their sleeves, can surely take the rope-way to visit the temple located on the hills near the lake. Since we didn't, we hired a cab to reach what is perhaps the most famous tourist place in Udaipur - the City Palace! It was a 20 minute cab ride. The City Palace is a mammoth structure! We could have spent an entire day at the museum housed inside the city palace. We would suggest to spare at least 3 hours for this place to get a true feel of history and culture. The museum has a great antique collection right from the 13th century to present day . 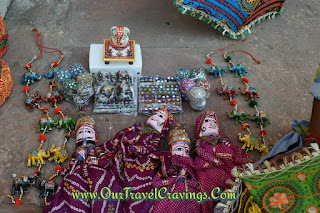 (Yes, the present Maharaja does exist and reside on one portion of the city palace which is closed for visitors!) We found their photos in the musuem. We even searched and found him on Facebook. Hahah! The city palace has lots of specifically dedicated rooms for art like Bhim Vilas (miniature paintings of Radha-Krishna) , Chhoti Chitrashali(for paintings of peacocks), Sheesh Mahal (mirror art) amongst others. The art work is sublime! Tip: Cameras are not allowed and are to submitted at the locker at the entrance. There is a lot more to Udaipur than this like the Jagdish temple, Sajjan Garh, Kesariyaji Temple, Saheliyo ki Bari (garden) but well let's leave that for some future trip - we thought! To be honest, we were short of time! 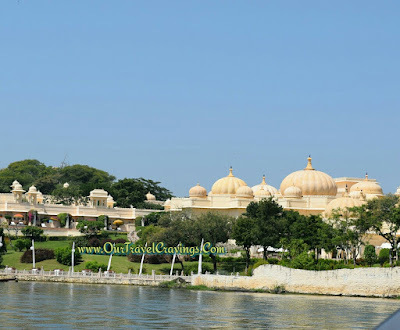 Don't forget to read our post on the awesome stay at Ramada Udaipur! Give us a smile by sharing, liking and subscribing! !